If you like to post your project, you can link your stuff here every saturday! Go, take a look, it’s full of lovely blogs and inspiration! It’s amazing you work that fast. 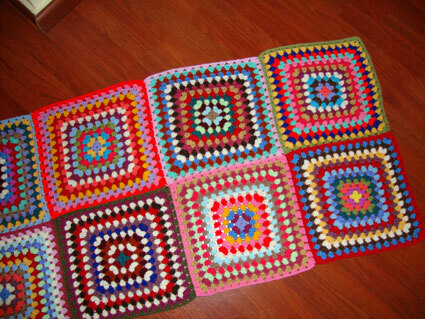 I like the colours you are using, that is going to be a real nice blanket to cuddle up with on a couch.